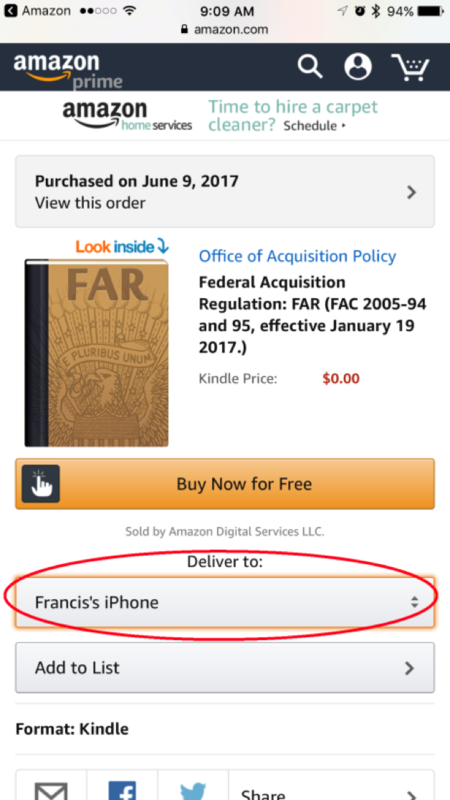 HomeThe Federal Acquisition Regulation (FAR) can now be accessed on any device! 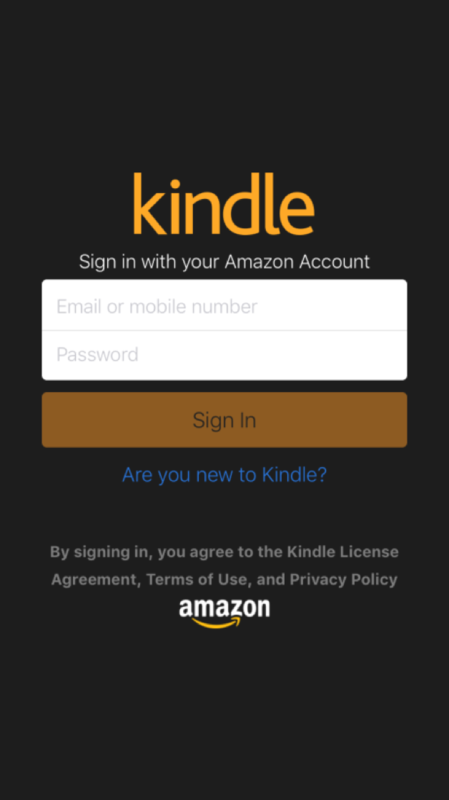 The Federal Acquisition Regulation (FAR) can now be accessed on any device! 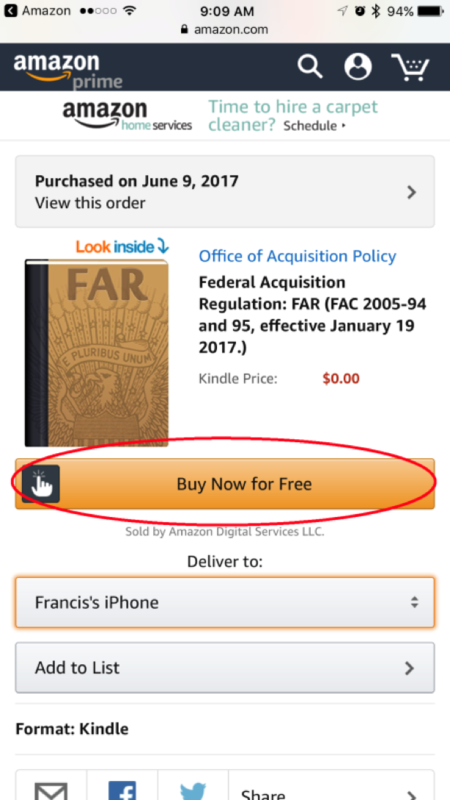 The FAR is live in the Amazon Kindle Store and is available for users to download. 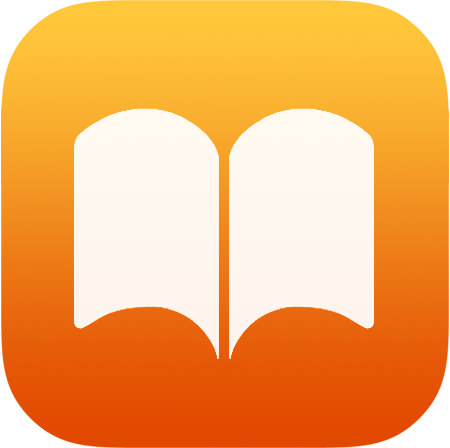 You can still download the FAR from the Apple iBooks store as well. 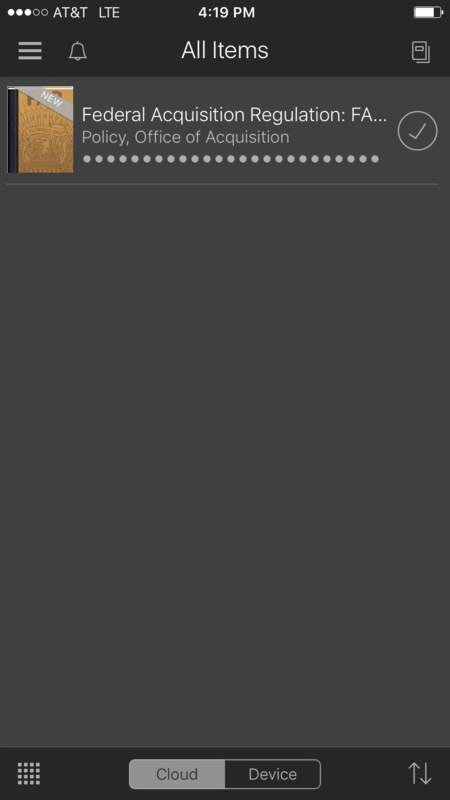 Go back to the Kindle app and the FAR book will be available in your Kindle Library to use. Click on the book to begin reading.